I popped in here for lunch with a colleague (so apologies for photos of half eaten food, work talk got in the way). 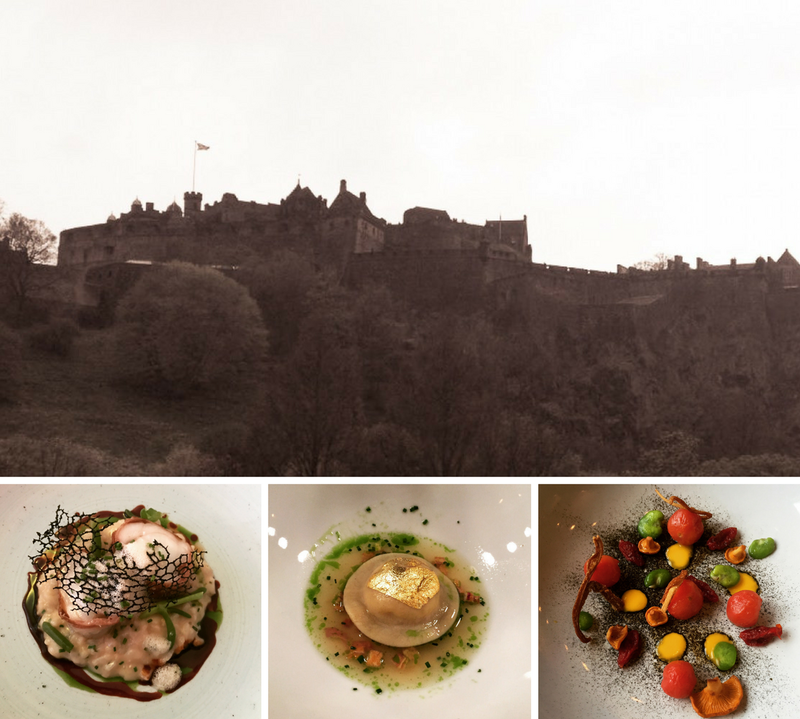 Tapame is relatively new addition to Teviot Place and as the name suggests, serves tapas. We had the option of two menus; the full menu or the lunch deal special, which was two plates for £5, which was incredibly reasonable. We went for this option and decided to get four dishes to share between us. You are limited to picking one from a group of about 5 or 6 dishes and another from another group of 5 or 6. My colleague had ventured in before so I took her advice on dishes. 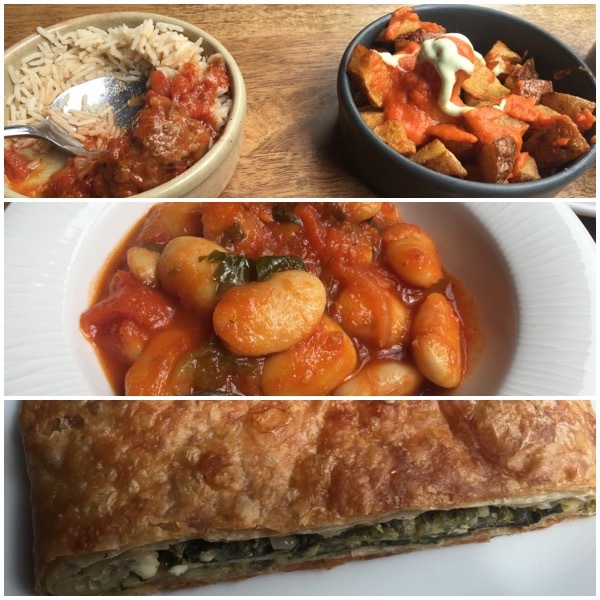 We went for butter beans and patatas bravas from the first group and meatballs and spinach filo pie from the second group. As with tapas, the dishes come out when they are ready but these all came out in close proximity to each other. We started with the patatas bravas and the meatballs. The patatas bravas is light on the sauce here, so if that’s not how you like them, you may be a bit disappointed. However, I thought they had good flavour, both in the potatoes and the sauce. They were cut into nice bit sized chunks which made them easy to share. The meatballs were in a set of three, which makes it a little less easy to share between two but were large enough that it was not a problem to cut a meatball in two and still have a decent bit of meat each. The rice that accompanied the meatballs was cooked well enough. The nicest part was the tomato sauce, which had a good, punchy tomato flavour. Moving onto the filo pie, the flavour was great. It doesn’t look overly appetising to the eye but don’t let that put you off. I have to say that this was probably the best dish of the four. There was a good balance between filling and pastry. The butter beans were soft and in a nice tomato sauce which included small pieces of other vegetables such as celery to give it added depth. This sauce was thinner and lighter than the one with the meatballs. Overall, if you are looking for a quick bite to eat, Tapame will hit the spot. I imagine it will do very well through festival season. Cost approximately £15 for 4 tapas dishes and two soft drinks for the deal. Would be closer to £20 for the non-deal option.